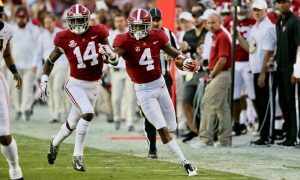 It’s not cockiness, but confidence and the ability to deduce the facts from stats and personnel that make us sure Bama ends Georgia’s dream. See if you agree. 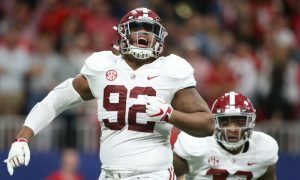 This weekend, Alabama will defeat Georgia in royal style and end their dream of a playoff appearance and possible win. The sad thing is, they may honestly be one of the best four teams in the nation. Georgia may have had a chance to pull an “Alabama” and get into the playoffs with a late season loss had they not already had a loss against LSU and it just wasn’t a loss, it was a thumping. Having a second loss ends any chance Georgia had to make it to the playoffs. What could be worse is the fashion that they’ll lose this game to Alabama. It will be another thumping. 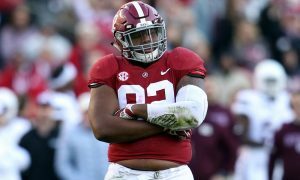 The team that has already beat Georgia 36-16, LSU, was severely beaten by Alabama 29-0. 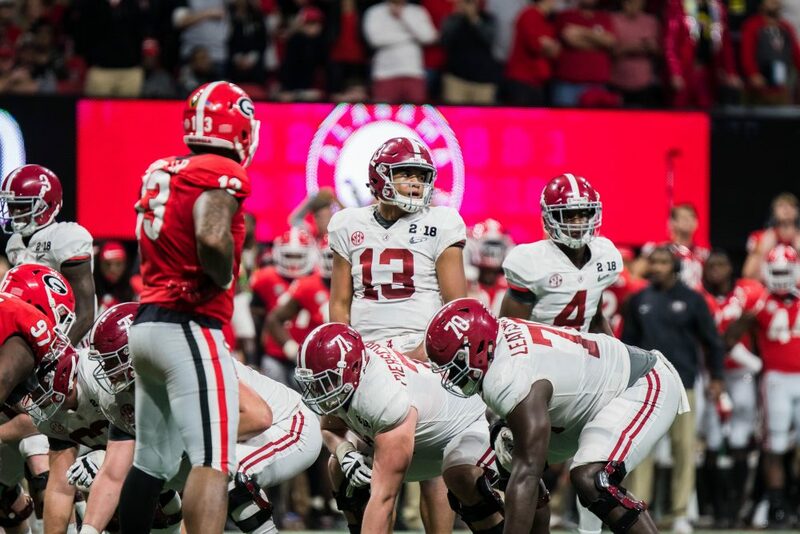 Just that fact should say enough, but some still point to how close the last game between Georgia and Alabama. What they fail to acknowledge is that in the half that Tua played, that half and the overtime’s score was 26-10. Extrapolate that by Tua playing both halves and the score could have been 52-20. Georgia is, as previously stated, one of the best teams in the nation and they may very well have been favored to defeat Notre Dame, possibly Clemson and certainly whoever goes in as the fourth seed. Not only do we reporters who cover the SEC feel that way, the teams in that will play in the playoffs know that too or at the very least feel that Georgia would give them a good game. So when Alabama trashes them in the SEC Championship Game, a chill should run up the spine of every playoff contending team when they see the notice that Alabama has sent. 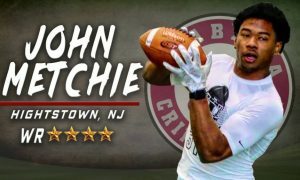 Don’t believe Alabama won’t have an easy time with Georgia? Consider this, Alabama lowest points production of the season was when they played a tough Mississippi State team and rightly so. State has the nation’s third best defense according to the stats. Yet they still put up 29 points on them. Georgia has the nation’s 12th best defense. That difference should be good enough to score at least another touchdown at least, meaning that it seems reasonable for Alabama to put up least 36 points. Alabama’s defense has been on a real tear lately, but over the season, they average giving up just over 13 points a game. Even if Georgia manages to outdo that average and score 17 or 20, a 36-20 score should send a real message to the other teams. Notre Dame is a paper tiger that will be embarrassingly exposed once again in the playoffs and the team that makes it as the fourth seed is just lucky to get in. Only Clemson seems capable of playing the Tide a decent game. Clemson only allows teams an average of 14 points a game, very close to Alabama’s 13.8. Pundits to Alabama having an easy time will also point out that Clemson almost averages the same amount of points per game as Alabama. Alabama averages 49 points per game and Clemson a healthy 45.7. But the difference is, Clemson hasn’t played anyone as good as Alabama and Alabama has played a lot of good teams. Need proof? 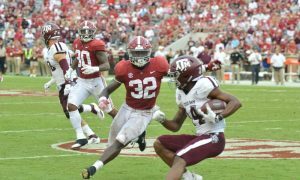 Alabama beat Texas A&M 45-23, a good thumping. Yet that same team, Texas A&M took Clemson to task and they were lucky to have beaten them 28-26. 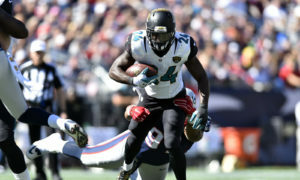 They were also taken to task by a three loss Syracuse team in a 27-23 win. Alabama has not been taken to task by anyone. 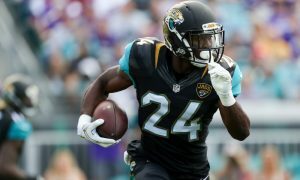 So taking Georgia to the woodshed will certainly give the other teams making the playoffs a great deal to think about. 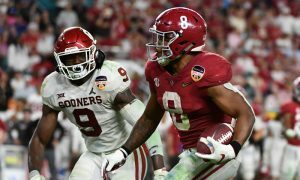 If they don’t and allow Georgia a close game, then that could give the remaining teams hope. 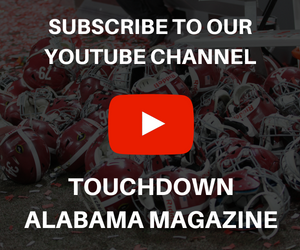 But in covering the SEC and Alabama for more years than I’d care to count and being pretty accurate in big games, it’s hard to see a close game like last season and if it’s a prediction you’re looking for, then Alabama 38, Georgia 17. Las Vegas has Alabama a 13.5 point favorite, our prediction is Alabama by 21.